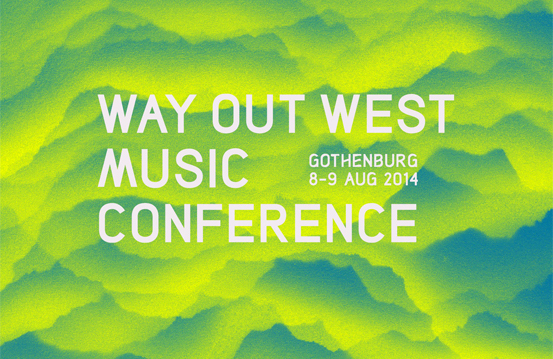 Since 2007, the Way Out West music festival has successfully showcased the Swedish music industry and drawn many of the world’s most notable artists to its Gothenburg stage. This year, organisers decided that the festival would also host an international forum focusing on the creative music scene as a whole. Held in a separate V.I.P. area of the festival site and open only to specially invited guests, the Way Out West Music Conference featured lectures and debates on a variety of music related subjects. 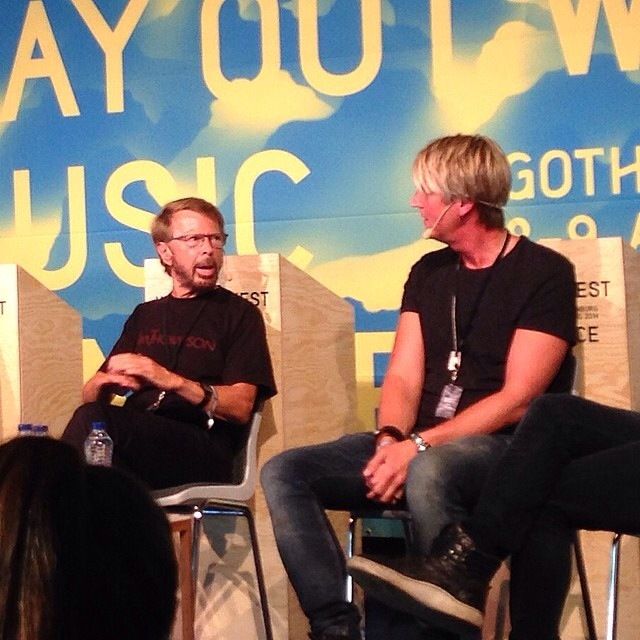 Last Friday, Björn Ulvaeus demonstrated his support for the event by joining fellow musicians, Noonie Bao, Niclas Molinder and Carl Falk on the conference stage to participate in a discussion titled, ‘Songwriting – A Swedish Affair’. Led by moderator Sharon Vaughn, the panel were asked to discuss the basic elements of songwriting and to consider whether they thought that there was a special Swedish ingredient that had contributed to the nation’s global musical success. Their unanimous conclusion was that it all came down to, hard work, discipline, strong melodies and having control over what you do. “If it has something, you kind of explore it for a while and then you realise, no, this is not good and then you just discard it and you forget about it. When it sticks, when you find that you come back to it again and again, after days, after weeks, after years and it’s stuck in your mind, then you know it’s got something. And there’s also of course a gut feeling that you get when something is really good. You just know, it’s very hard to explain why, but you just know that, this is great,” Björn said. “I will never forget the moment when The Winner Takes It All came together. Benny and I were in a little cottage on an island outside Stockholm. It was winter and we were writing away day and night. We had this kind of folky hambo (a traditional Swedish dance) style verse and we also had this other bit that we thought was really good. Then we started playing the hambo half time – we left space in between the phrases of the hambo stuff and suddenly it was telling a story, suddenly it was like a French chanson. We played those two parts together and we knew, my God, this has got to be so good!”. “I’m proud to be involved in shaping the future of the music industry. Auddly is on the songwriter’s side and it is important that music creators receive fair compensation for their work,” he said. Björn’s fellow panelist and co-founder of Auddly, Niclas Molinder explained: “The music industry’s current challenges are largely a matter of distribution and communication. In the midst of this are the writers, those who just want to be creative, make music and spread it around the world. With some of the industry’s most experienced songwriters behind us, we hope to change the music world for the better,” he said. You can watch a clip of Björn’s appearance at the ‘WOW’ conference. When I look over my life and recall the friendships and love affairs that have shaped it, I can count on one hand the people that been formative on my journey… me not always reading the map, yet engaged, listening, distilling and for most part, staying en route. And throughout it all, ABBA music. Loud in my school years, more of a safe space in my man ears. And within that, the voices of Agnetha and Frida, a sound of the gods, the melodies of Benny & Bjorn, and more and more the words of Bjorn Ulvaeus. I was blessed to be 10 in 1976. I feel blessed still. Previous PostPrevious ‘Cirkeln’ – the movie and the music!